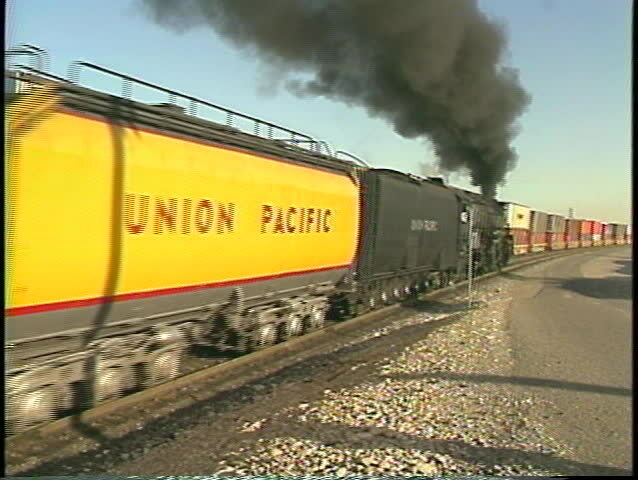 UTAH - CIRCA 2009: Medium shot of a Union Pacific train moving through a freight yard circa 2009 in Utah. sd00:15SALT LAKE CITY, UTAH - CIRCA 2009: Medium shot of a Union Pacific train moving through a freight yard. hd00:30Cologne - circa may 2013 - Freight train with many cargo containers runs on the newly-built railway line for high-speed trains between Cologne and Bonn in may 2013. 4k00:35Pisa, Italy - Circa January 2019: Freight heavy electric shipping train is passing at high speed. Container Shipping. 4k00:29Rohtak, Haryana, India - December 15,2018: Freight train crossing through railroad station during sunset. hd00:10Kiev, Ukraine 30.07.2015. Cars go on the road. Road traffic. Peak hour. hd00:14VOLOGRAD - JUNE 26 Passenger train passes a station Volgograd 1, June 26, 2011 in Volgograd, Russia. 4k00:09Rohtak, Haryana, India - December 15,2018: Freight train crossing through railroad station during sunset. 4k00:12Los Angeles, JUN 2: 4K Video of railway, trains and goods on JUN 2, 2017 at Los Angeles, California, U.S.A.